Cottages at Governors Landing is a new active adult community in Knoxville, TN. Epcon has begun construction on a new active lifestyle community in Knoxville, Tennessee. Once completed, Cottages at Governors Landing will include 128 attached and single-family homes as well as a clubhouse to meet residents’ social and fitness needs. Located along the coast of the Holston River, the community is ideal for homeowners who enjoy boating, fishing, and water views. The 3,200 square-foot clubhouse features a 24-hour exercise room, catering room, and a multi-purpose room complete with a billiards table. Outside, residents can cool off in the saltwater pool or relax on the patio. When night falls, the riverside gas fire pit is the perfect gathering place for catching up with neighbors at the end of the day. An outdoor living room with a gas fireplace and outdoor kitchen are also planned. Homeowners can take advantage of the community’s proximity to the Holston River with a private boat ramp and covered day dock. Outdoor enthusiasts will also appreciate the onsite R.V. and boat storage area as well as the community’s walking trails. 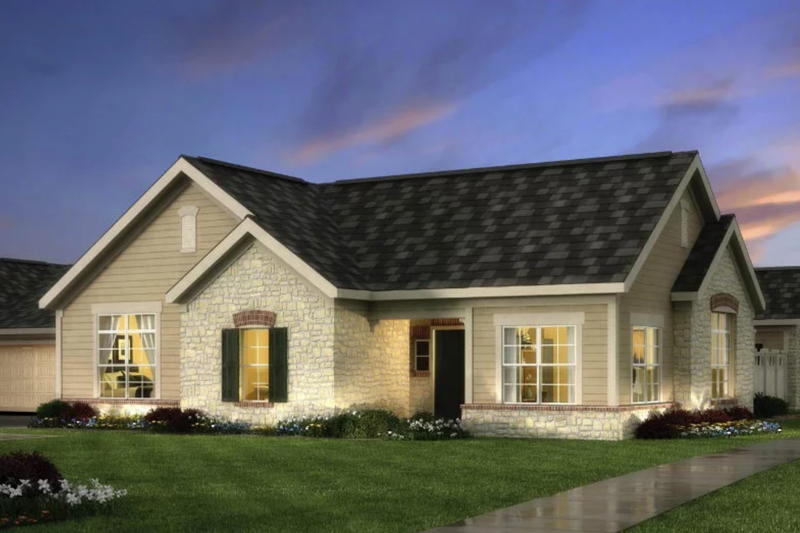 Cottages at Governors Landing offers a variety of open floor plans with nine-foot ceilings, spacious kitchens, oversized bedrooms, and large garages with extra room for storage or a workshop. Optional screened-in porches are available in some homes. Prices start from the mid $200s and go up to the mid $300s. Attached homes range in size from 1,547 to 1,900 square feet and have two or three bedrooms, two or three bathrooms, and an attached two-car garage. Single-family homes range from 1,696 to 3,195 square feet and have two to four bedrooms, two or three bathrooms, and an attached two-car garage. Residents will have plenty of time to enjoy their homes and amenities thanks to a low-maintenance lifestyle provided by the homeowners’ association. Exterior home maintenance including roofs will be taken care of as well as landscaping, driveway maintenance, trash removal, and common area maintenance. The community is also conveniently located on the edge of East Knoxville, affording residents plenty of peace and quiet, while downtown Knoxville is just a 15-minute drive away. Tennessee Theatre, East Tennessee Historical Society Museum, and numerous shopping centers are nearby and the Great Smoky Mountains National Park is great for day trips. A fantastic waterside location paired with luxurious amenities makes Cottages at Governors Landing in Knoxville, TN, a new active lifestyle community that homebuyers should definitely consider.